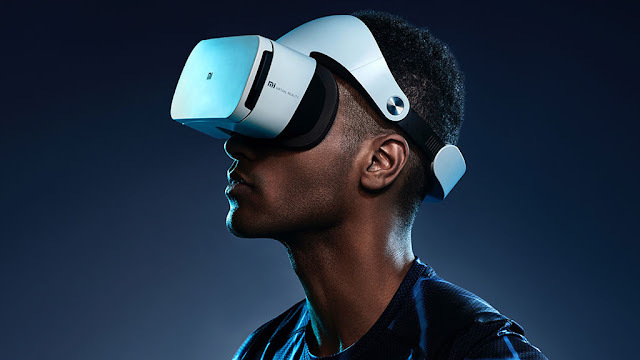 Xiaomi Mi VR Play 2: VR glasses for just under 14 euros! She looking for an affordable entry into the world of virtual reality glasses? Then maybe the new edition of the Mi VR Play from the house Xiaomi is something for you. This VR glasses costs 14 euros and brings besides an unbeatable low price also some improvements to the predecessor with. The Xiaomi Mi VR Play 2 not only looks more chic in its latest version but is also more comfortable to wear for the user. This is ensured by a new material of spectacles and mountings. The manufacturer has also reduced the weight, so that longer trips to the VR world can not be a stress test for the neck. In addition, there are now fine holes in the fabric that protect the smartphone and enable better cooling. Compatible are expected all smartphones with a display diagonals between 4.7 and 5.7 inches. When the VR glasses on the market comes, is currently unclear. However, publication with the Xiaomi Mi 6 is considered probable. It is also not known whether Xiaomi offers the glasses outside China for sale.